COGIR Real Estate is a Quebec company founded in 1995 by Mr. Serge G. Duguay. Although Mr. Duguay remains active in the company, he has passed the reins to his son Mathieu Duguay, who was named partner in 2004. Over the years, COGIR has become an expert in real estate repositioning and created many business plans and market strategies to increase the value of the properties that it manages. To meet our clients’ needs, COGIR has developed unique and undisputed multidisciplinary expertise in the real estate sector. We are constantly looking for new investment opportunities that fit with our clients’ goals, and we are able to co-invest with our clients when required. As a general contractor, we also provide exclusive property development and construction services for our management services clients. COGIR Real Estate has approximately 3,500 employees who are passionate about real estate. They work day after day to provide the best service to our customers. Our team manages more than 170 properties located in Quebec, Ontario and United States. We manage more than 7 million square feet of real estate that includes residential, commercial, industrial and office sectors. 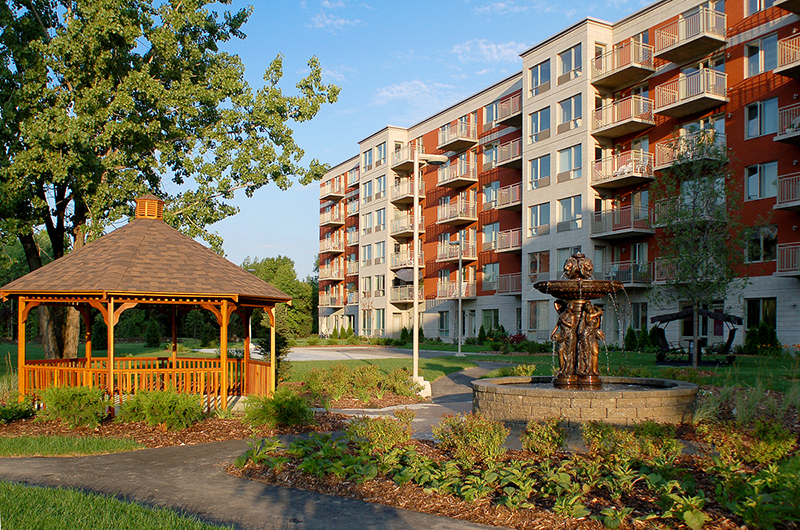 At the residential level, we manage more than 19,750 units located in Quebec, Ontario and United States, including a network of 40 private retirement homes. Our enterprise also has extensive experience in hospitality properties. To meet customer requirements, COGIR Real Estate has developed an undisputed multidisciplinary expertise in real estate in the multi-residential sector, private residences for seniors, hotels, shopping centers, apartment buildings offices and industrial buildings. We remain constantly on the lookout for investment opportunities that can fit the goals of our clients. We are also able to co-invest with our clients when the situation allows. COGIR Real Estate manages 40 commercial properties of different sizes and scopes throughout Quebec, Ontario and Nova Scotia. 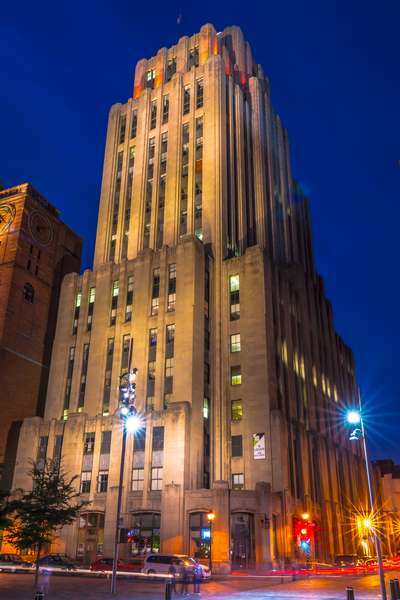 Our commercial division manages over 7 million square feet of commercial, office and industrial space. Since our company was founded, a highly experienced team of seasoned experts have worked at COGIR’s head office and its properties to optimize the management of these commercial properties and increase their value. COGIR Real Estate has developed strong business relationships with its tenants and brokers along with extensive knowledge of the constantly evolving real estate market. COGIR Real Estate creates value for its clients through its expertise, robust space promotion programs, dynamic marketing plans, and a tremendous ability to recover and reposition assets. Over the years, COGIR Real Estate has recovered many shopping centres, including Place Portobello, Place Longueuil, Place des Quatre-Bourgeois, and Promenades de Sorel, to name just a few. COGIR Real Estate also demonstrated its unique expertise by transforming a major single-tenant building (700 de la Gauchetière, Montreal) into a multi-tenant property and repositioning the building’s food court and common areas to create a highly attractive property. Through these adjustments, COGIR reduced the vacancy rate from 30% in 2008 to just 5% in 2011 to create major value for the investor. It should also be noted that the occupancy rates and net rents of our properties are usually higher than their reference markets. COGIR Real Estate manages 50 privately-owned retirement homes. Our company is the Québec leader in this industry, by managing the operations of these retirement homes. This entity currently manages approximately 50 retirement homes, for a total of over 11,000 units. These residences mainly take clients who are independent or semi-independent or who require care. We also manage a private CHSLD that is fully occupied by nuns. In many residences, Cogir now manages and develops prosthetic units, which provide high levels of care and safety for people with Alzheimer’s disease. COGIR’s goal is to become a leader in this high-potential market. This division, is a team of professionals with extensive knowledge of what makes a successful retirement home. COGIR Real Estate employs many specialists in food services, health care, recreation therapy, operations and marketing. These specialists create value-added programs for our facilities, whose service-related revenues are among the highest in the industry. The company has also developed various accommodation and service packages so that residents can maximize their eligibility for government tax credits. Cogir’s activities are guided by three core principles: Human focus, Creativity and Excellence. Daily activities in every one of our homes are based on these principles, and our residents’ quality of life is our primary concern. For a number of years, Cogir -managed homes have had a lower vacancy rate than their reference market (CMHC). We have also executed many development projects in this sector, and we hope to continue developing the industry through our talent and desire to always improve. COGIR Real Estate has been active in the multi-residential building sector since 1999. With over 70 buildings and over 8,400 units, COGIR stands out in the market through its focus on customer service and its goal of creating dynamic living spaces. The multiresidential group includes professionals who dedicate their expertise to creating revenue, serving clients, and managing costs. Properties benefit from various revenue generation programs, with a focus on strategies to maximize potential income (EM2) as well as developing additional income sources. COGIR Real Estate also has a strong property repositioning expertise, which follows a proven internal process: from a primary market research to phases of redesign, job monitoring and merchandising. Cost management is a key aspect in this field – to that effect, COGIR Real Estate provides purchasing plans and an extensive labour network to exceed the usual performance indicators in the industry. Our team ensures that tenants are satisfied at all times, and that dynamic, attractive communities are created and maintained across our properties. Through its experienced operational team, COGIR Real Estate focuses all efforts towards property optimization, while maintaining healthy cost management. Since 2008, COGIR Real Estate has its own construction and development division that controls and executes all steps in the project development and management process. An experienced and passionate team oversees the different steps of the project development and marketing process. This division uses an “integrated design” approach, which harnesses the strengths of the entire team to make each project a success. COGIR Real Estate’s philosophy is to align all interests for each project. For construction and development projects, all stakeholders involved, such as external suppliers or consultants, become much more engaged in the process. The team can then create and build with client needs in mind. Our team-based approach means that decisions are made quickly to increase success and create value. Each member feels a sense of belonging and ensures the project meets COGIR Real Estate’s high quality standards. A step-by-step development process is the key to success in this sector. From site studies to project delivery and market analysis, all steps must be carefully executed. Through this division, COGIR Real Estate is at the direct centre of the quality control process. This division has a promising future as a creator of innovative projects in the rental property market. The goal is to offer incomparable quality, exquisite design, and comfortable living spaces for clients in all property asset categories.